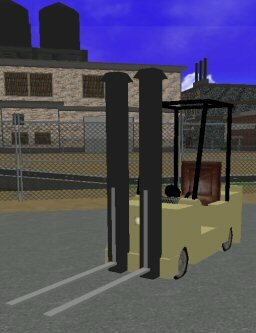 These fork lifts are great for forkin' and liftin'. The base object will be the begining point of the forks. So if you want it lifting something, place the base object right onfront of it. Due to the high object count, it is recommended you build it split between cells in crowded areas.